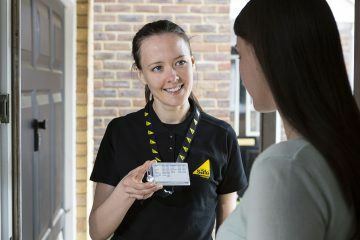 Landlord News is proud to be working with Gas Safe Register to promote Gas Safety Week 2017, which starts today, to help fight for a gas safe nation. Gas Safety Week is an annual safety week to raise awareness of gas safety and the importance of taking care of your gas appliances. It is co-ordinated by Gas Safe Register – the official list of gas engineers who are legally allowed to work on gas. Landlords must understand that badly fitted and poorly serviced gas appliances can cause gas leaks, fires, explosions and carbon monoxide poisoning. Every year, thousands of people across the UK are diagnosed with carbon monoxide poisoning. It is a highly poisonous gas that can kill quickly, with no warning. 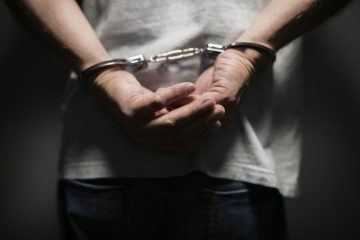 Landlords are legally responsible for the safety of their tenants. For this reason, you must make sure that a Gas Safe registered engineer conducts maintenance and annual safety checks on gas appliances in your rental properties. Pipe-work, appliances and flues provided for tenants must be maintained in a safe condition. All appliances and flues provided for tenants’ use must have an annual safety check. It is important to set a reminder so that you don’t forget to arrange this. An engineer registered with Gas Safe Register must carry out maintenance and annual safety checks. All gas equipment (including any appliances left by a previous tenant) must be safe or otherwise removed before re-letting. You must provide your tenant with a Gas Safety Record within 28 days of completing the check, or to any new tenant before they move in. You must keep a copy of the Gas Safety Record for two years. Before any gas work is undertaken, always check the engineer’s UD card and make sure that they are qualified for the work you need doing. You should also encourage your tenants to do the same. 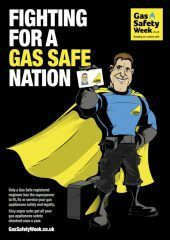 Help us fight for a gas safe nation this Gas Safety Week by keeping on top of your responsibilities!